Home American Express How to Get the 70k SkyMiles Offer and Should You? How to Get the 70k SkyMiles Offer and Should You? The American Express Delta SkyMiles card, which usually has a tiny sign up bonus not worth our attention temporarily has a 70k sign up bonus. First, I’ll analyze the value of the sign up bonus both ways I analyze sign up bonuses–absolute-value method and rebate-percentage method–then I’ll tell you how to get the 70k offer if you want it. The 70,000 SkyMile sign up bonus breaks down like this: 25k after first purchase and 45k after $5,000 in spending in the first six months. Additionally you can earn a $100 statement credit on your first Delta purchase within three months of opening the card. The annual fee is $95, but it is waived for the first year. 70k SkyMiles are worth $854 according to my Mile Value Leaderboad. Delta miles are worth less than any other type of mile I’ve valued at only 1.22 cents each. The $100 statement credit is worth $100 to me because I would make a point of making a Delta purchase in the first three months. Having the card means the cardholder and up to eight others on the same reservation can get one checked bag for free. Checking a bag costs $25. I would not use this benefit, since I am a one-bag evangelist, so I value this at zero, but others would certainly benefit. Having the card entitles the cardholder to Zone 1 priority boarding, which means no fight for the overhead bin. I value this benefit at about $2 per flight, and I would estimate having two Delta flights in the first year of having the card, so this is a $4 benefit for me. There is no annual fee the first year, so I add up the benefits to find the absolute value of the sign up bonus. $958 is the sum of the benefits for me ($854 + $100 + $4). If you value early boarding or checked bags more, you’ll value the sign up bonus higher. If you don’t understand the absolute-value method or the rebate-percentage method, or if you don’t know which is more important for your spending profile, read The Two Ways to Value Credit Card Sign Up Bonuses. $958 is a pretty big sign up bonus. 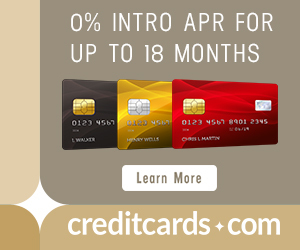 Since this will probably only be around for a limited time, and normally the SkyMiles card’s sign up bonus is much lower, you may want to get this card now, especially if you are a big spender who should primarily look at the absolute value of sign up bonuses. A 19.2% rebate on the minimum spend is a much more modest way to view the bonus. This would only be the third biggest AMEX personal card by the rebate-percentage method that small spenders and upcoming-mortgage customers should use. The personal 50k Platinum Mercedes-Benz has a 102.5% rebate and the 25k personal Gold has a 29.8% rebate. I’m normally in the rebate-percentage camp because I’m a small spender, but I have a big purchase coming up that I will put on this card. That temporarily puts me in the absolute-value camp and $958 is a great sign up bonus. So I applied and got instantly approved. Delete “JOHN” and insert your first name. Delete “SMITH” and insert your last name. Delete “1234567890” and insert your SkyMiles number. The application page is a little buggy. Don’t worry that it won’t let you input your first name. And don’t worry that if you click on a box, it will ask you to fill in a box that you didn’t click. And don’t worry that your answers don’t seem to visually line up with the application’s questions. Clicking “Continue to Verify” will take you to a page with the name magically filled in and your answers in the right spots. If the answers on this page aren’t correct, there is a problem. After submitting I got a screen saying my application had been received and I’d hear within 14 days. But within 14 minutes, I got an email saying I was approved and that I’d get the card in the mail in seven to ten days. Is this the first time you have ever had the delta personal card? I recently closed my delta gold card to avoid the annual fee. I wish I could jump on this offer. I haven’t had one since 2010. We fly Delta all the time since we live in Atlanta. I have the Delta Gold Business (applied 2/12) and then I applied for the Amex Gold Business and BOA Hawaii on 8/8/12. Since my Delta card is a business card, I should be fine. However, do you think it is too soon to get another card since I just got 2 last month? Credit score is good. As a one-time thing, you should be fine. But your general pattern should be every 91 days. Your link is cut off. may want to revise the post. ?? Copying and pasting that SkyMiles app link worked for me just now. Your link ends at LastName= when it should end with the membershipNumber. I see it displaying fully on my post. I’m not sure what’s causing it not to display properly for you. Just fyi, it’s not displaying completely for me either. It’s likely browser/display differences with your WP template. I put in my first and last, and member number. Can someone confirm if this is still available or dead? I just applied for and received the Delta Gold AMEx within the last month or so. What do you think the chances are of bumping up the bonus to 70000 now? Slim. But you have a 0% chance if you don’t ask, so you have nothing to lose by sending AMEX a message. No guess. I moved up to get it. Don’t know if you had seen this but per FT the gold delta 70k mile offer is now dead. Glad I moved up my app cycle. 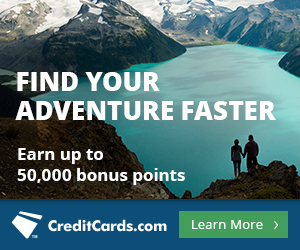 Are there any Delta gift cards we can purchase to get statement credit?